To be an island should not be a problem but a pillar of development! 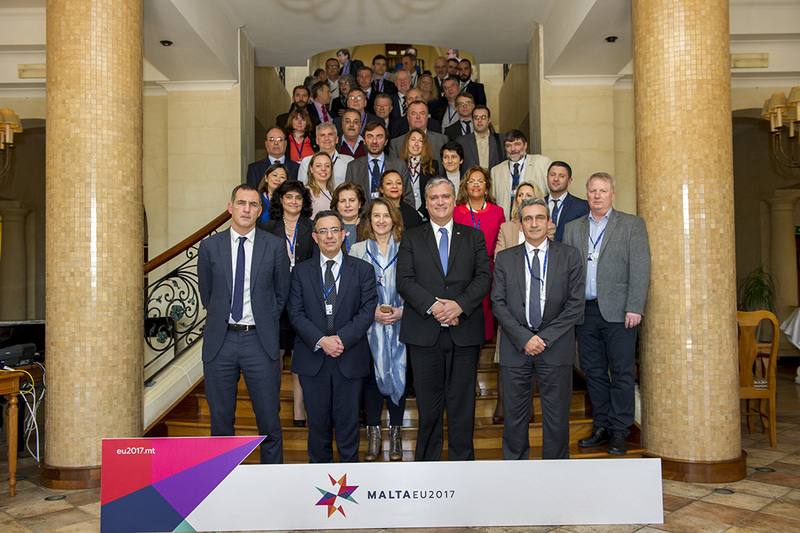 The CPMR Island Commission’s AGM 2017 was hosted on Gozo, Malta’s smaller island, and brought together island regions from the North to the South of Europe to look at the future of Cohesion Policy post-2020. One size does not dictate all nor add value to a nation. It is crucial to get rid of bureaucratic barriers and help micro, small and medium size enterprises through changes to State Aid rules for islands and a rise in De minimis level at least in line with inflation. To serve the islands adequately, there must be a place-based approach to the EU Development and Territorial Cohesion Policy. The CPMR needs to make a response to the EU White Paper and respond to the key challenges of competitiveness, investment and Territorial Cohesion. It needs a strong voice and think of target audiences: EU institutions, National governments, EU Regions, Citizens and Young People. Response includes making the case for EU cooperation based on CPMR principles of balanced Territorial Principles, solidarity between the EU and its regions, championing the position of regions in EU policy-making. The islands’s access to the Single Market is not equal to that of other regions. 3.4 %of EU population live on islands. Their access to the Single market is NOT equal to the access enjoyed by other parts of the EU. Insularity has a negative aspect on businesses and people and Brexit will make it worse by reducing the number of islands in the EU and the overall funding share. For the islands to realise their potential, EU policies need to include insularity clauses. To achieve the EU’s principles of Territorial Cohesion and Sustainability, the development model needs to be changed to include Equal opportunities for the islands and Green island policies. VAT should be lower as it is already on some islands (Corsica, Heligoland) whereas there is no VAT in the Faroe islands. There should be a lower level of taxation for islands to help small and medium enterprises as well as micro-enterprises. MEP Myriam Dalli who is involved in supporting Blue Growth projects, agreed that islands do need support, and the way to get it was to demonstrate a Can Do approach. The presentation by the Western Isles Council showed how the islands could become Energy Positive Islands by investing in their potential for renewables. Bornholm ‘s vice mayor presented the island Bright Green Future. Kostas Komninos built on that concept by presenting the Smart Island Initiative to be launched in Brussels on 28 March. 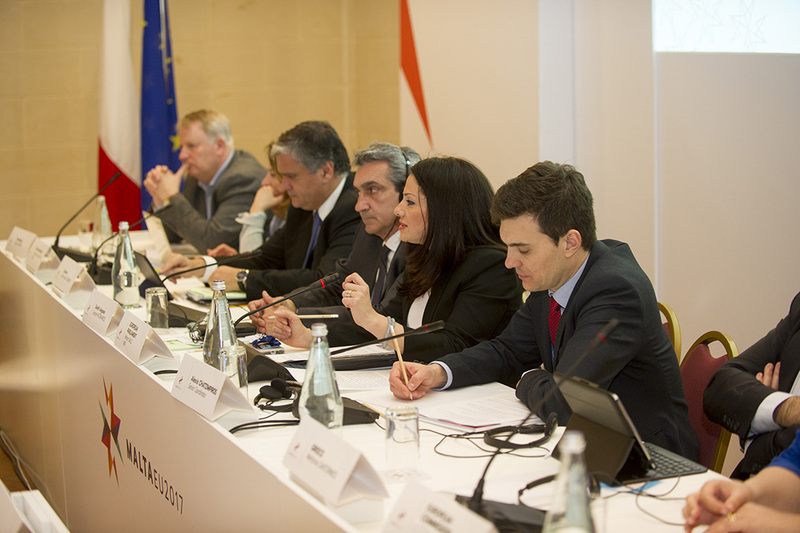 Gilles Simeoni, President of the Executive Council of Corsica, was unanimously elected as President of the CPMR Islands Commission (CPMR-IC). From a purely Scottish Point of view, it was gratifying to discuss with Mr Simeoni how the Corsican team had come to Scotland to meet with Cal Mac to look at the way they are structured and with a view to replicate the C-Mal and Cal Mac model! Click here to access the speeches and presentations made at the Gozo 2017 AGM. On 26 October, Roseanna Cunningham, Scotland’s Cabinet Secretary for Environment, Climate Change and Land Reform, announced the designation of the Fair Isle Demonstration & Research Marine Protected Area – Scotland’s first ever designation of this kind. The news comes on the back of decades of community effort campaigning for improved protection for Fair Isle’s waters. Fair Isle is famed for its migratory bird populations and attracts visitors the world over. A small and remote island, located around 40km from the nearest land, the local economy is reliant upon a healthy marine environment to underpin their wildlife tourism industry. Fair Isle records a greater diversity of bird species per unit area than anywhere else in Britain and Ireland, due to its location as first landfall for migrants moving across both the North Sea and Atlantic Ocean, and often records unusual avian visitors not found elsewhere in the UK. In addition, seventeen species of seabirds breed on Fair Isle, however populations of these have declined from c. 250,000 in total in the 1980s and 1990s to just over 100,000 in 2010, with species such as kittiwakes, arctic skuas, puffins, shags and arctic terns showing the most rapid declines. This is not only an issue for the biodiversity of Fair Isle, but also represents a threat to the island’s main industry – wildlife-based tourism. The Fair Isle Marine Environment and Tourism Initiative (FIMETI) was established in 1995 as a partnership between the Fair Isle community, the National Trust for Scotland and the Fair Isle Bird Observatory Trust to work toward the long-term protection and sustainable management of the seas around the island. 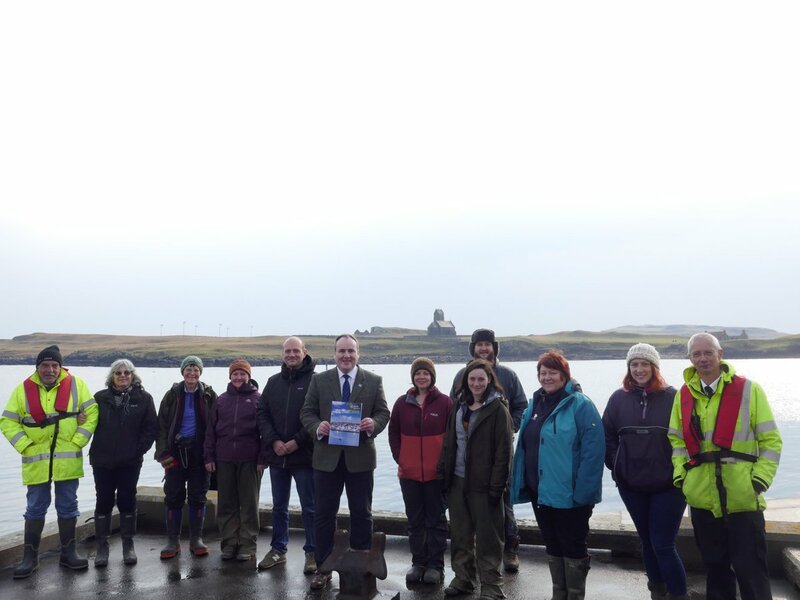 The proposal for the Demonstration and Research Marine Protected Area (MPA) was developed in 2011 by FIMETI on behalf of all residents of Fair Isle, and had full support of other stakeholders using these waters. to demonstrate the social and economic value of a healthy marine environment to the Fair Isle community and others. It differs from Scotland’s nature conservation MPAs in that rather than specifically protecting species of European importance it is specifically targeted toward carrying out research to demonstrate sustainable marine management approaches.